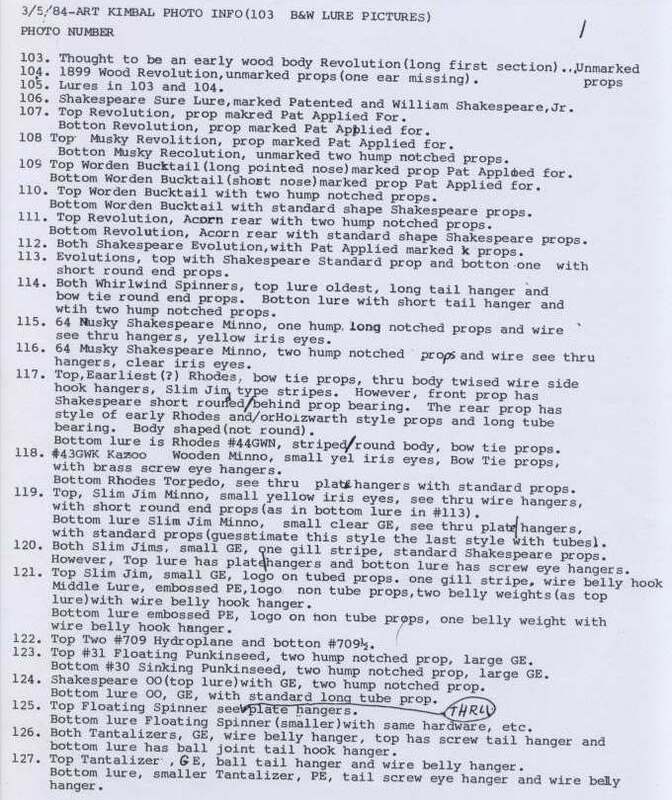 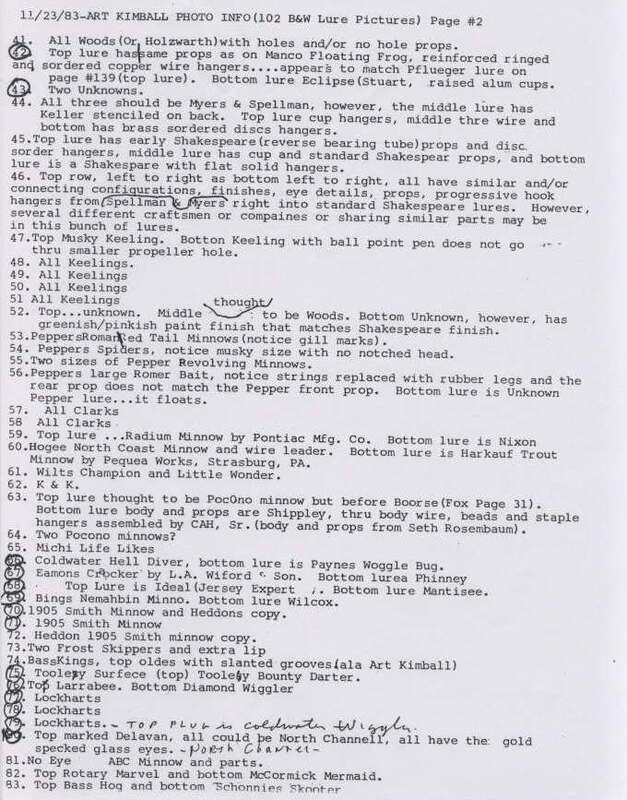 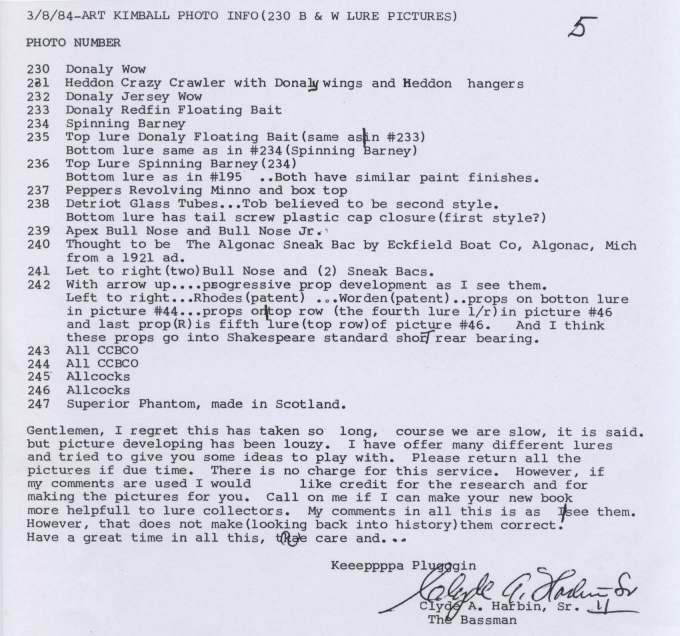 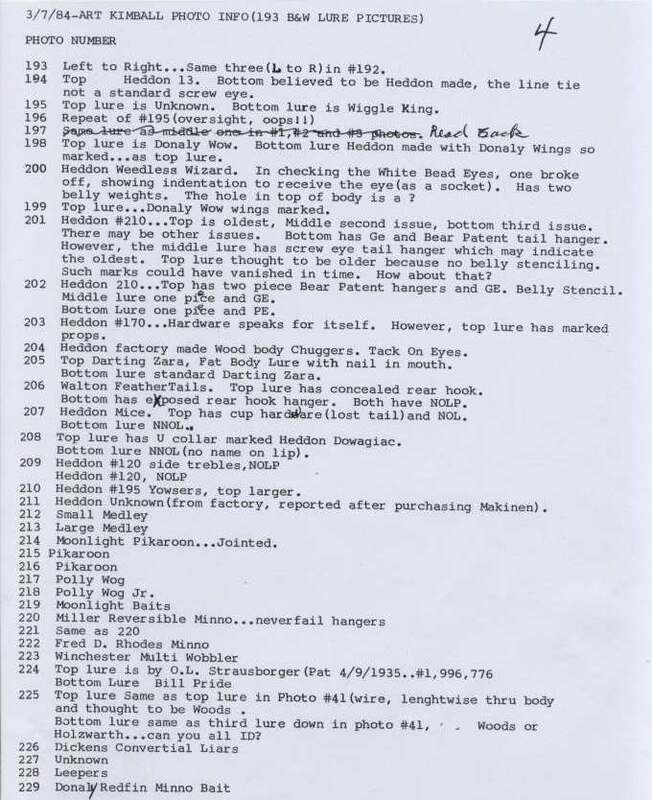 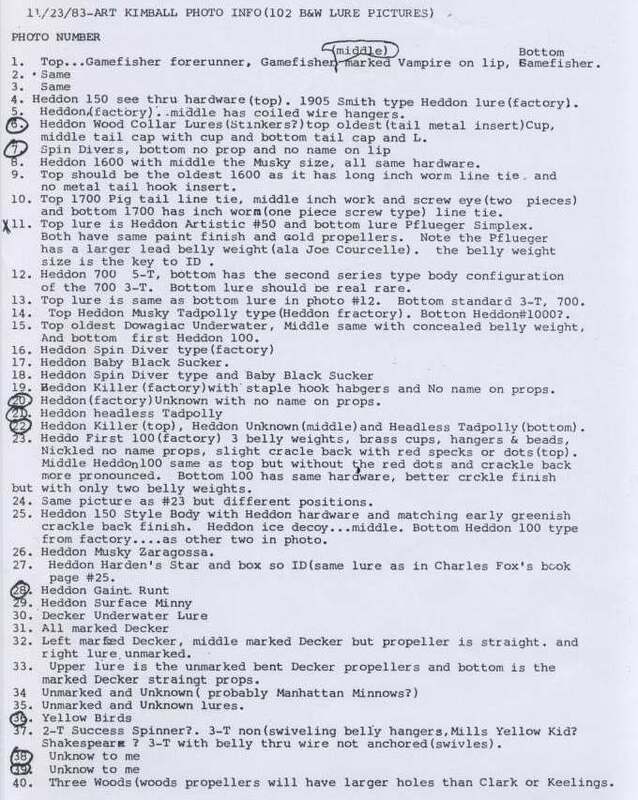 The following information is from the archival material of Clyde A. Harbin Sr. 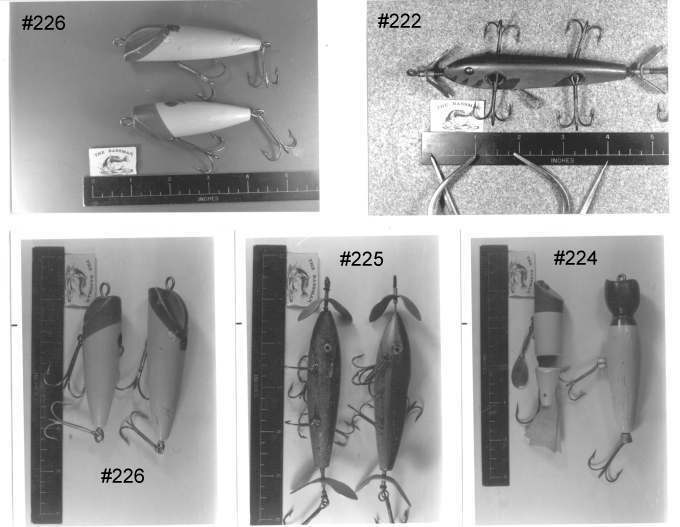 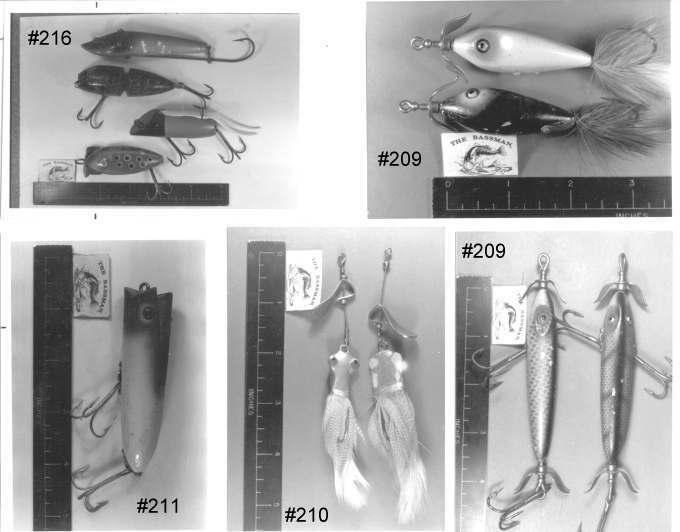 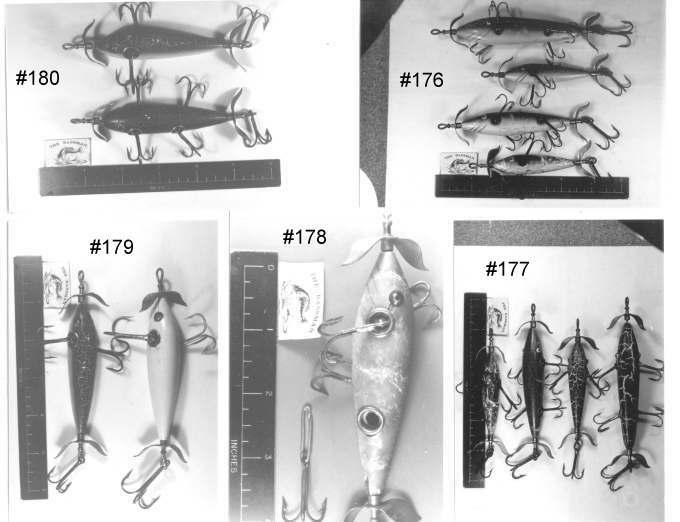 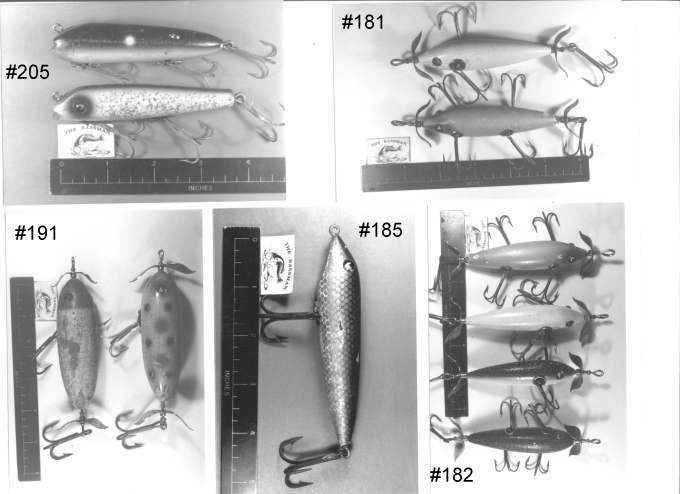 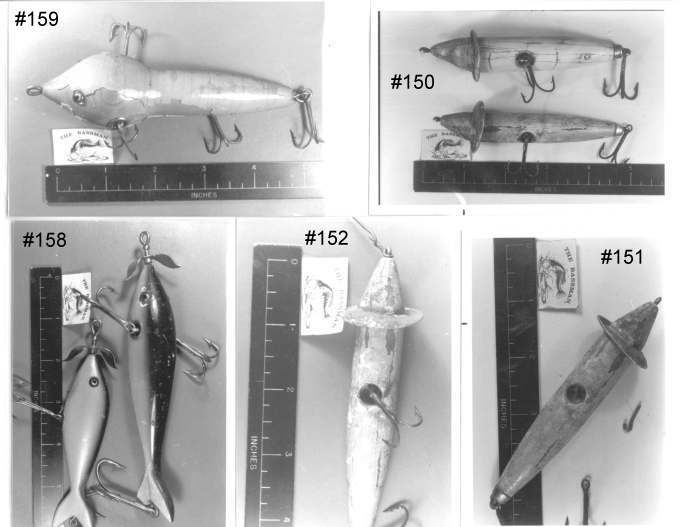 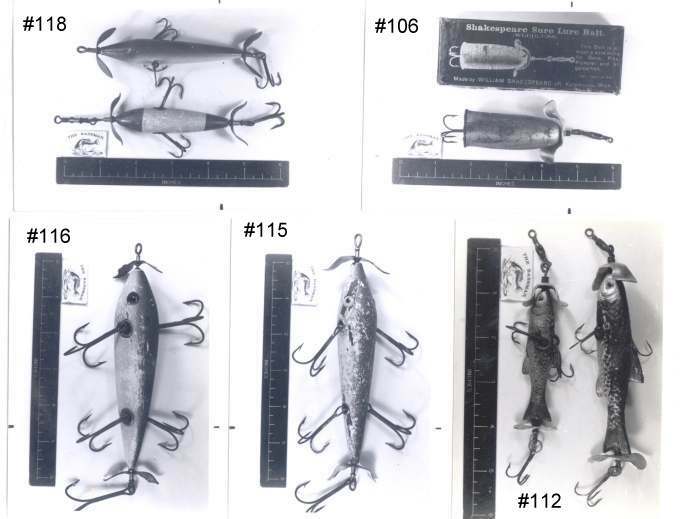 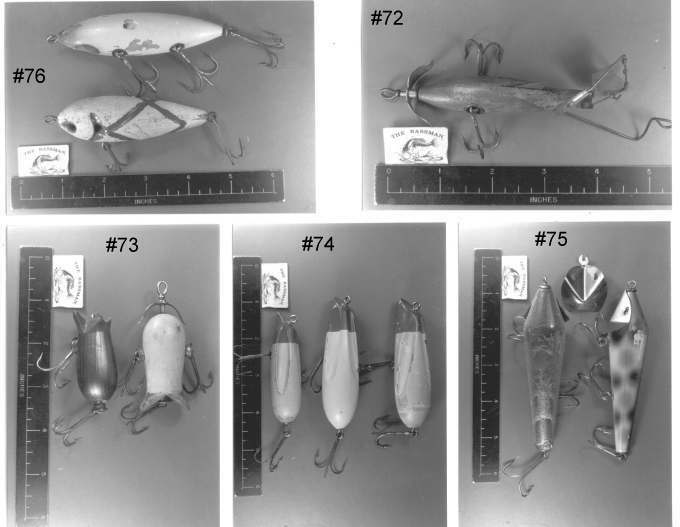 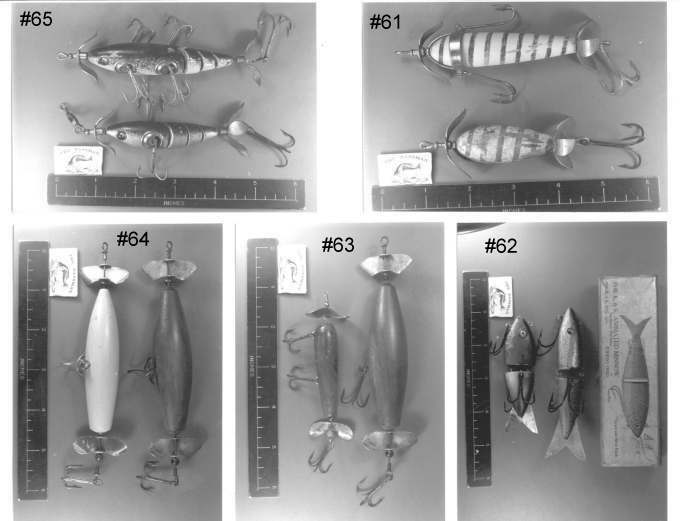 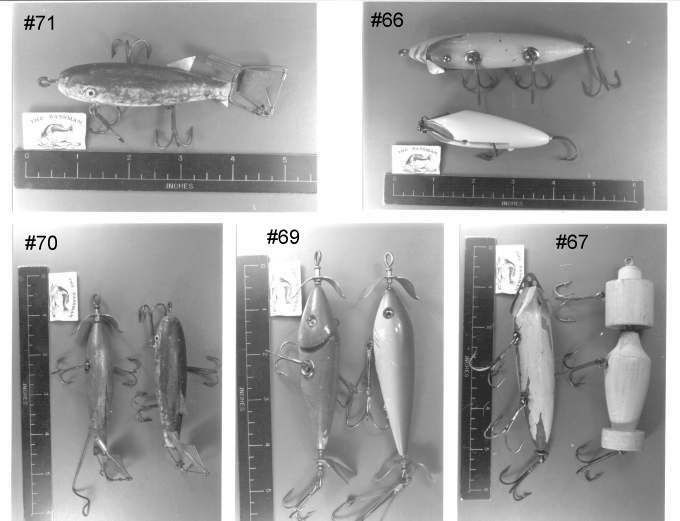 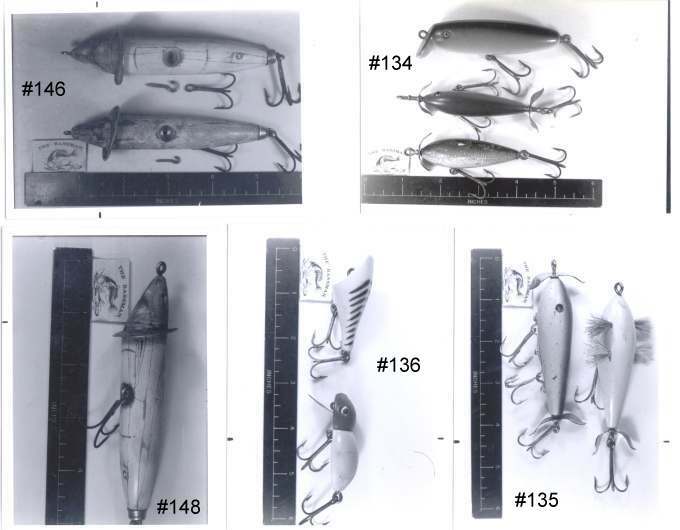 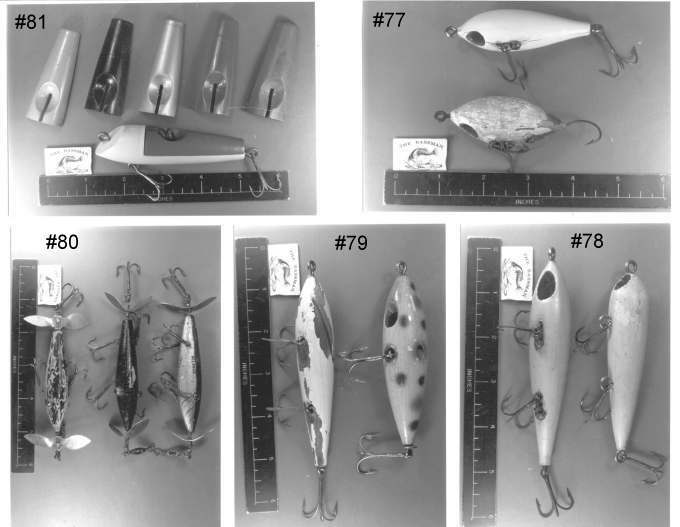 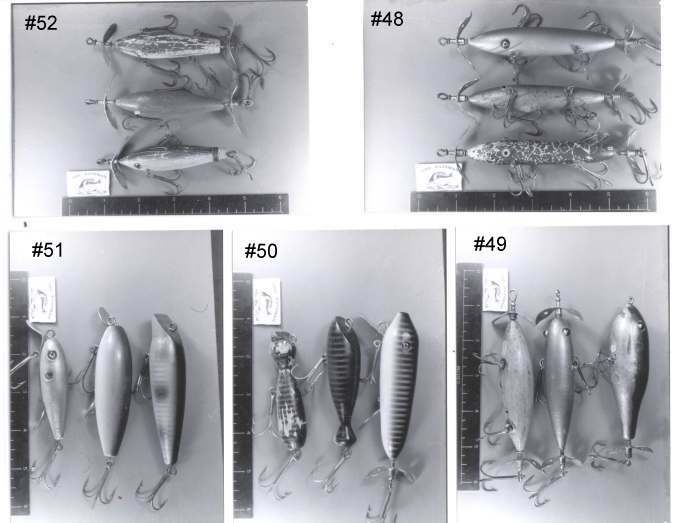 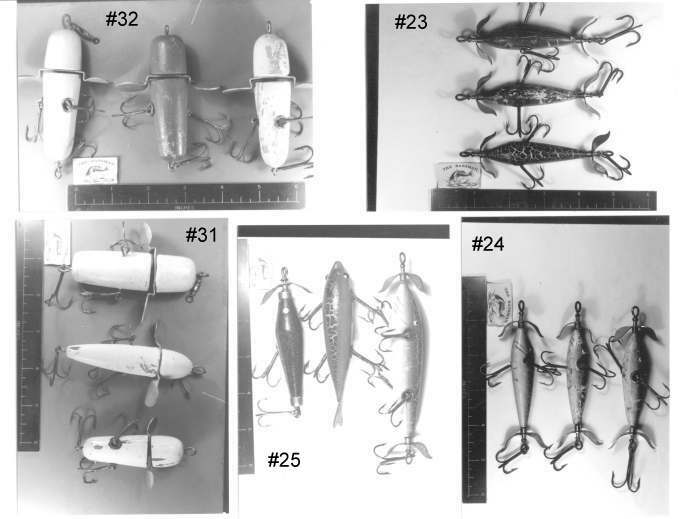 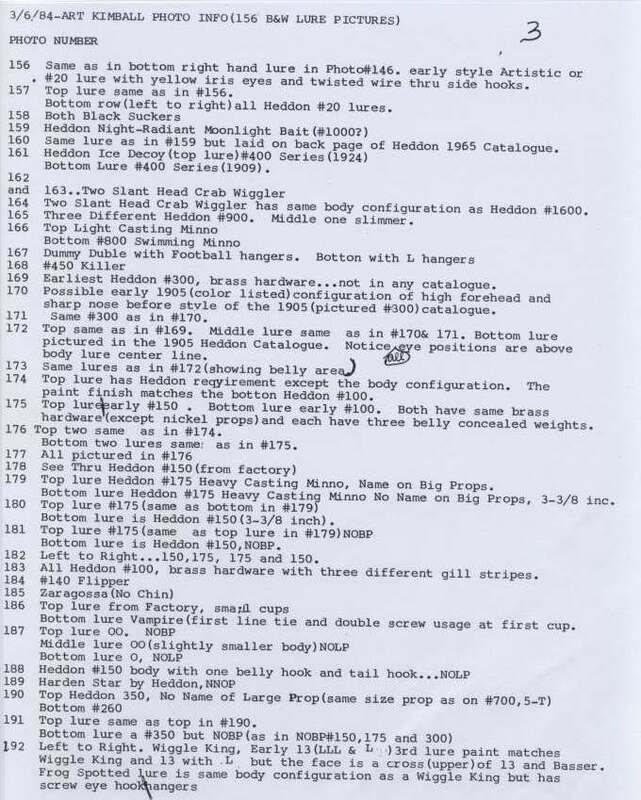 The black and white photos are of rare and early lures, some of which are from the Heddon factory collection. 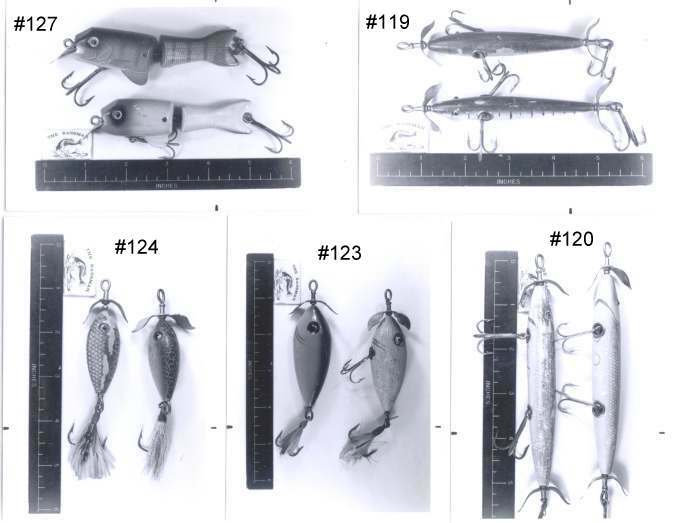 The list of individual lures corresponds to the numbers of the photo, which is listed on the photo. 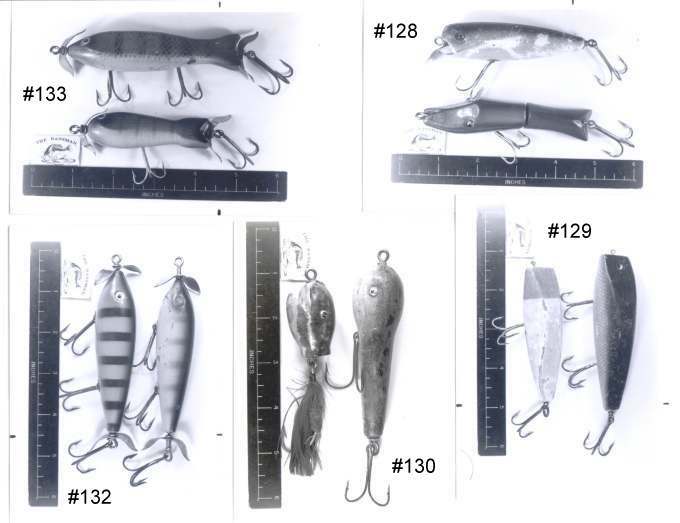 Not all listed lure photos are present. 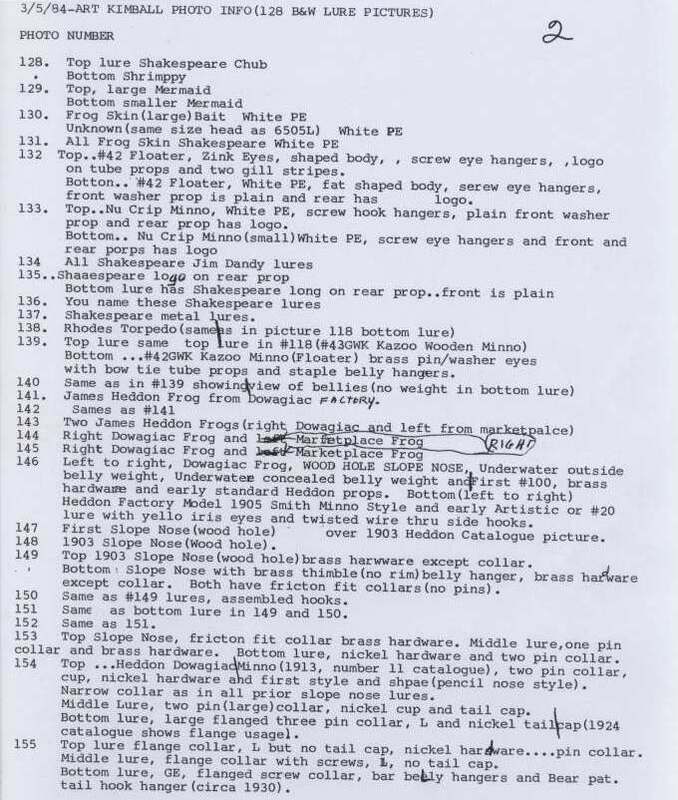 Some of the photos have disappeared and are lost.